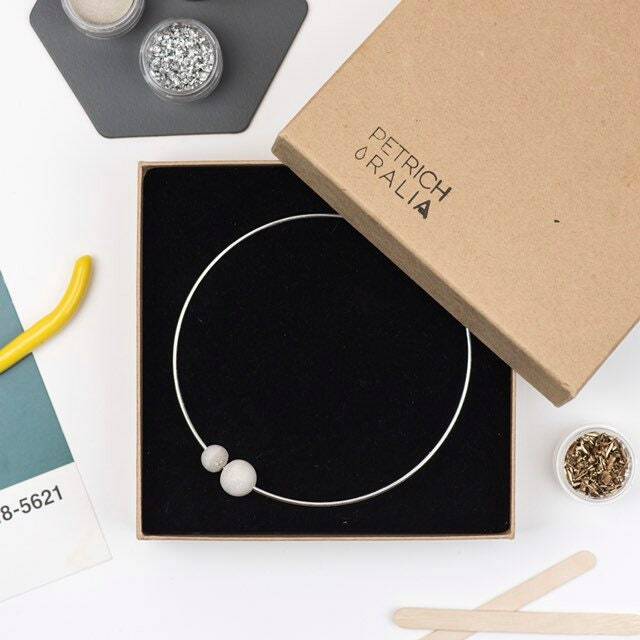 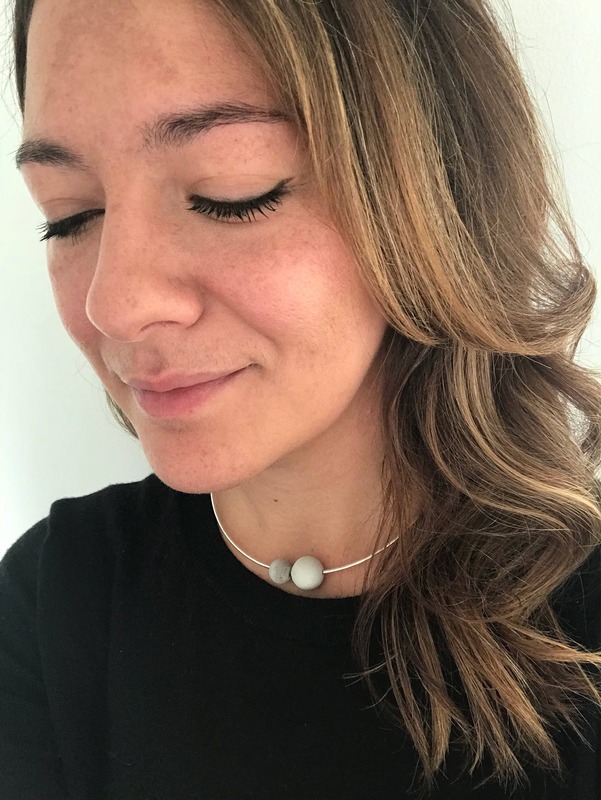 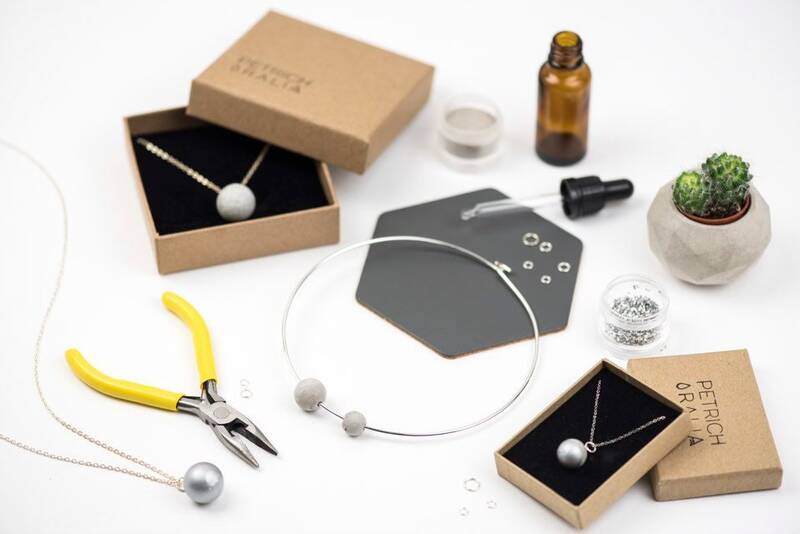 A large and medium handcast concrete sphere on a silver choker necklace. 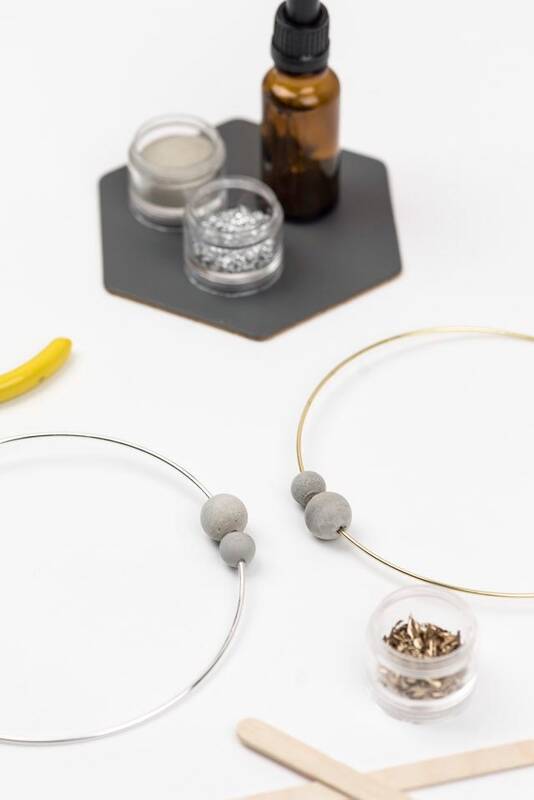 All pieces are lovingly cast, deburred and polished by hand. 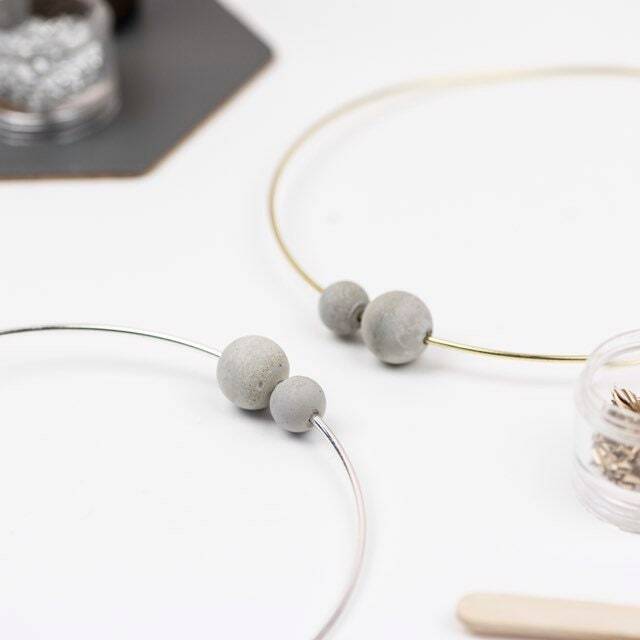 Concrete jewelry is very durable. 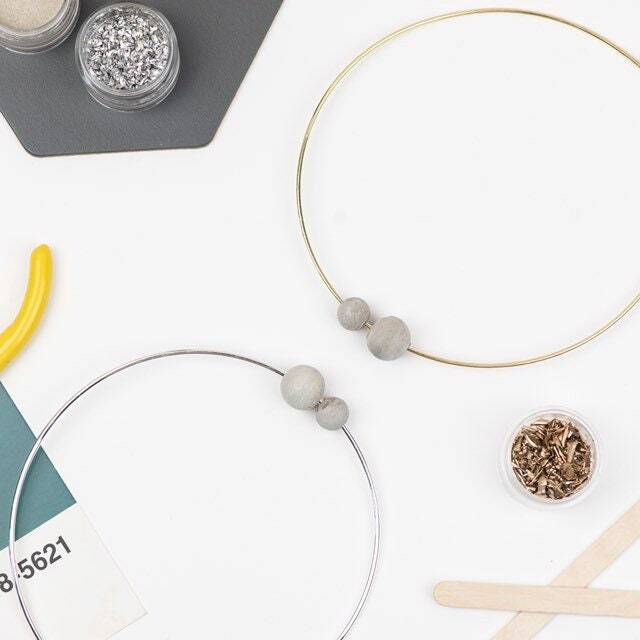 As with all handmade jewelry, every piece is slightly different, with some natural marks, making it truly one of a kind.